On behalf of their Belgian counterparts, Northumbria Police have passed on the information that any Newcastle fan found near the Jan Breydel Stadium on match day (8th November) will be arrested if they don’t have a ticket. The Belgian Police are urging fans not to travel at all if they don’t have a ticket but that is all a bit late after thousands of supporters have already committed to travel and accommodation before learning NUFC had only been allocated 1,470 tickets. 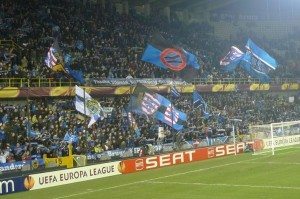 Commissioner Rudy Saron of Brugge Police has also confirmed that no tickets for any part of the ground will be sold after November 5th. Predictably the Belgian cops have also made clear any Newcastle fan found in the home sections will be chucked out. Finally, they have also helpfully pointed out that fans should have their passports with them at all times as anybody found without official photographic identification is liable to be arrested.